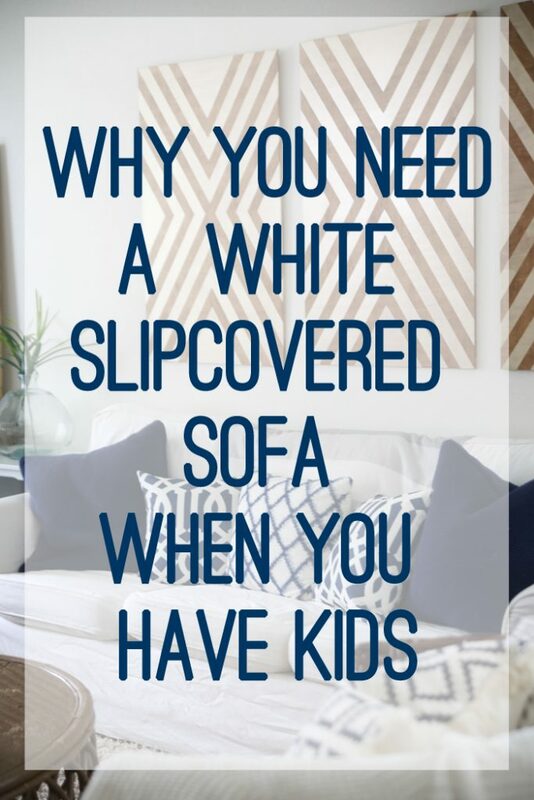 This topic can be controversial and I think most people are scared off by a white sofa when you have kids. Let me tell you something, ultimately, I made the decision to give up the huge brown sectional in favor for the slipcovered sofa for because I have kids. You’re probably thinking – say what? But for real, the maintenance on my white slipcovered sofa is a piece of cake compared to my old sofa and it looks 1000 times better at any given time. Here’s a breakdown for you. 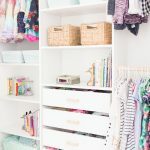 No more sofa scrubbing – When I had my brown sofa, my daughter would often have food on her hands or face and coming running in and face plant onto the sofa. It was pretty much daily that I would find yogurt, peanut butter, or who knows what smeared onto our couch. The brown didn’t hide nearly as much as you would expect – and then hid way too much at the same time. Every few weeks I would spend hours scrubbing the entire sofa only to find so much grime and grossness hidden in that brown fabric. Yuck! With my slipcovered sofa I can literally just take off the one cushion with the offensive food particles and toss it in the wash. Because it’s white, I can see when it gets yucky and know it’s time for a wash.
Because BLEACH – When you have a white slipcovered sofa, you don’t totally freak out when you find a chocolate milk stain on your sofa because BLEACH. 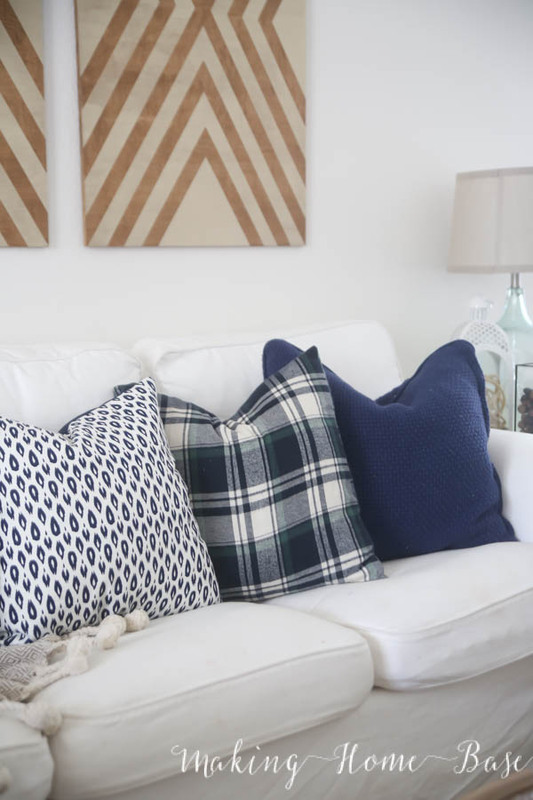 I came back from a trip last summer and found a chocolate milk stain on the sofa hidden behind a few throw pillows (Generally my husband thinks the throw pillows are obnoxious but they came in handy when it was time to hide the chocolate milk stain ha!) No freak out necessary because I was able to toss the whole thing in the wash with bleach and it came out as bright as the day I bought it. It was CHEAP – Price was a major factor in my decision. Our brown sectional was a small fortune. I really thought it would last forever and that I would love it that long. Maybe if I had a larger space, or maybe if I didn’t have small children, it might have worked out. I had a hard time letting go of it because of it’s high price tag so initially I searched and hunted for a slipcover to put on it. I even called several places to see if I could have one made. 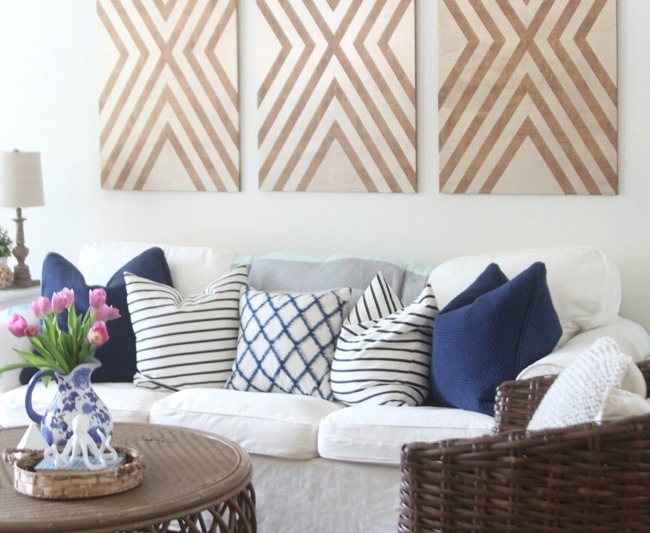 Believe it or not, having a slipcover made was almost the price of the sectional. I was shocked! I started stalking Craigslist as soon as I realized that slipcovering the brown beast wasn’t going to happen. I found an IKEA Ektorp in pristine condition for just a fraction of the price and hello, the Ektorp is already pretty decently priced. It came with a gray slipcover which I rocked for a few months before pulling the trigger on the white one. Since it was so inexpensive I have no problem buying a new slipcover as needed. 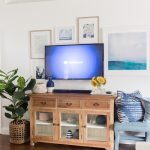 We use this sofa – Since I do have kids that run around with messy faces and hands, I don’t want an expensive sofa that I have couch police and constantly be checking faces and hands. I don’t want to freak out whenever I see crayon or peanut butter on my couch. One day, when my kids are older and my house is a little less maintenance, I can invest in a more expensive sofa. For now, we use this sofa, and I want my family to feel comfortable. If you are considering a white slipcovered and you’re too scared to make the plunge – I say go for it. If you already have the IKEA Ektorp – give the white slip a try. For $50 it’s totally worth your investment to try it out. 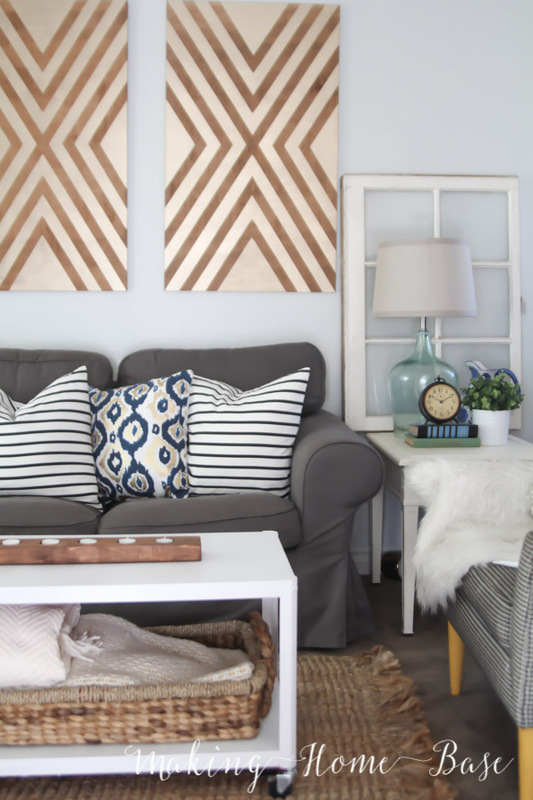 I love the clean look of mine and I love that I can toss it in the wash with some bleach and feel like I have a brand new sofa an hour later! Love this sofa! And I completely agree, it actually does make perfect sense with kids. We have an Ektorp with a gray slip in our study. It’s great! 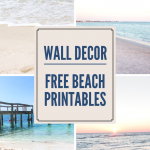 The best $$ I’ve spent for our home! This is brilliant! I never thought about it this way – I’ve always thought people with white… well, *anything* with kids were brave, haha. I’ll have to pass this along if anyone I know with kids is ever looking for a new couch. So much genius right here. Also great for pets! My cats ruined an upholstered sectional, but they don’t scratch my cotton slipcover because the fabric is too tightly woven. Plus the cat hair is easy to remove with a sticky roller because the surface is smooth. than tape width add half inch either side. dust I used one strip each week. So the white slip cover covers the gray alright? Its thick enough to not look see through and dingy? Hi Ashley 🙂 The gray is also a slipcover – we bought the sofa with a gray slipcover and switched it out for white. 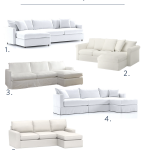 I have had 4 sofas in my lifetime, 3 have been white. I have 2 sons and 3 grandsons. My children are grown and gone. I just purchased sofa #4 from Crate and Barrel its white and slip covered and I love it. My sofas did not wear out I just moved and sold my furniture. 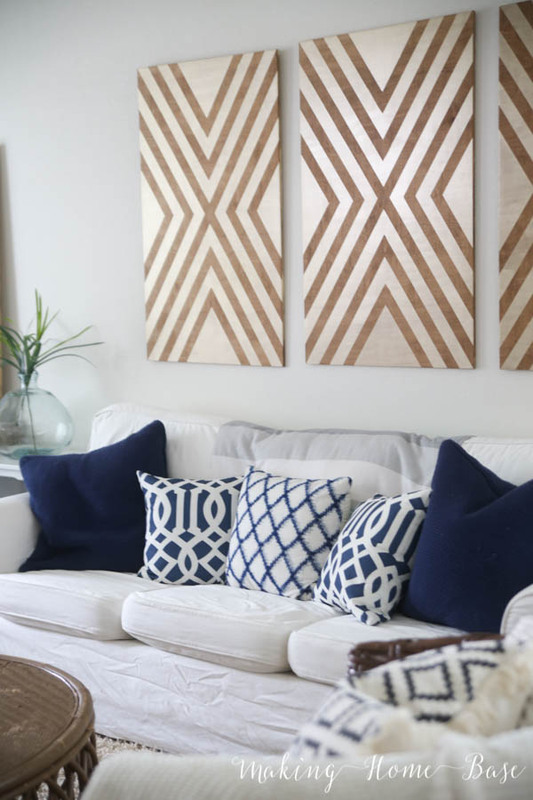 White sofas are the perfect back drop for all color moods, its the best. I’m so glad you shared this! 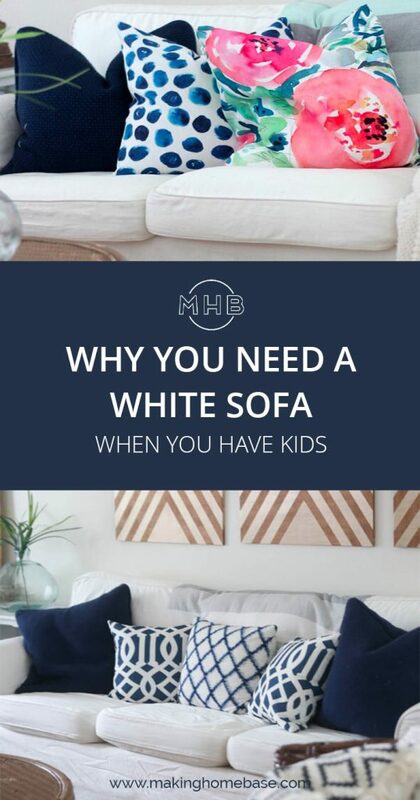 I’ve been crushing on a white sofa but have a toddler and another on the way. You may have just convinced me to take the plunge and go with a slipcover 🙂 My tan sofa scrubbing days need to end!! Samantha – that was me with my brown sofa – constantly scrubbing yogurt smears off the sofa! Drove me nuts! I have a white sofa I have had for 16 years. I have three boys, grown now, but it is still in great condition. Toss slip covers in the wash and in nice weather let dry outside in the sun. By, the way, I love all your blue pillows. Where are they from? Hi Lesley, whenever I bleach anything I always do an extra rinse to be sure the the washing machine is nice and clean afterwards. If you want to bleach your yellow slipcover, you would probably have an easier time bleaching it in your bathtub or sink. You’ll likely need a bit more bleach and you’ll want to let it soak. Hope this helps.